Month-end woes no more! Because Bottle Street at Magarpatta is serving alcohol, starting at INR 15. YES, you saw that right! Who said you can’t drink like a fish at the end of the month? Tag the gang and head to Bottle Street, between 5.00 pm and 9.00 pm, on any day of the week. 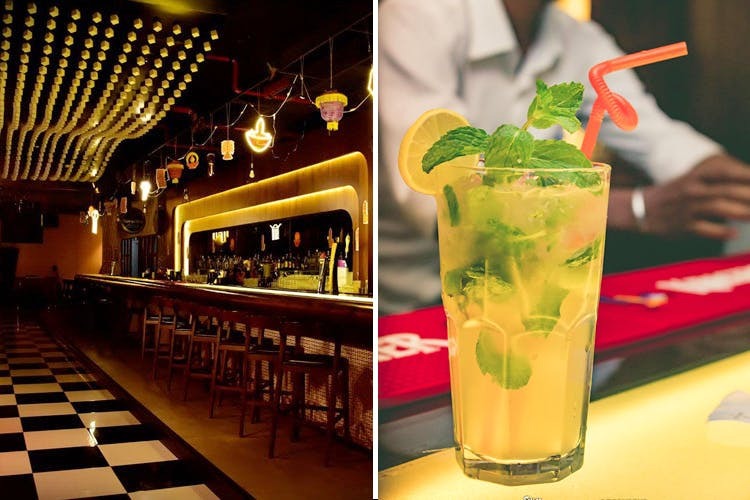 From cocktails starting at INR 25, sling shots for INR 15 and a glass of draught beer for INR 49, we think this is perhaps, the most happening happy hour offer in town. This only gets better with hard liquor. Get a peg of Chivas Regal, Black Label, Jagermeister and Grey Goose for INR 215. For brands like VAT 69, Teachers and 100 Piper’s, a peg is priced at INR 80. Enjoy your drink with a plate dahi kebab for INR 320, tandoori chooza for INR 380 and fish Amritsari for INR 420, and you’re good to go. We are already going ga-ga about Bottle Streets special offers. You, too, should make the most of it.